The legal operations movement has created a new class of legal ‘intrapreneurs'. The Analytics Workbench allows a firm to create their own private custom insights for their clients across all litigation practice areas. Docket Alarm by Fastcase, a leader in litigation analytics and data-based judicial profiles, has released the Analytics Workbench, a new category of legal analytics tools. The Analytics Workbench allows attorneys, librarians, litigation support professionals, and “makers” within a law firm to build their own bespoke litigation analytics across any court, practice area, or litigation event. Legal analytics have been available to law firms for some time, but they have been limited to only those courts and practice areas that legal analytics companies have explicitly supported. For example, Docket Alarm’s analytics in the Patent Trial and Appeal Board (“PTAB”) and the Trademark Trial and Appeal Board (“TTAB”) have been a boon to intellectual property litigators but did not serve legal professionals in other practice areas or courts. Law firms have been asking for analytics tools that target a broader range of practice areas, especially in state courts. 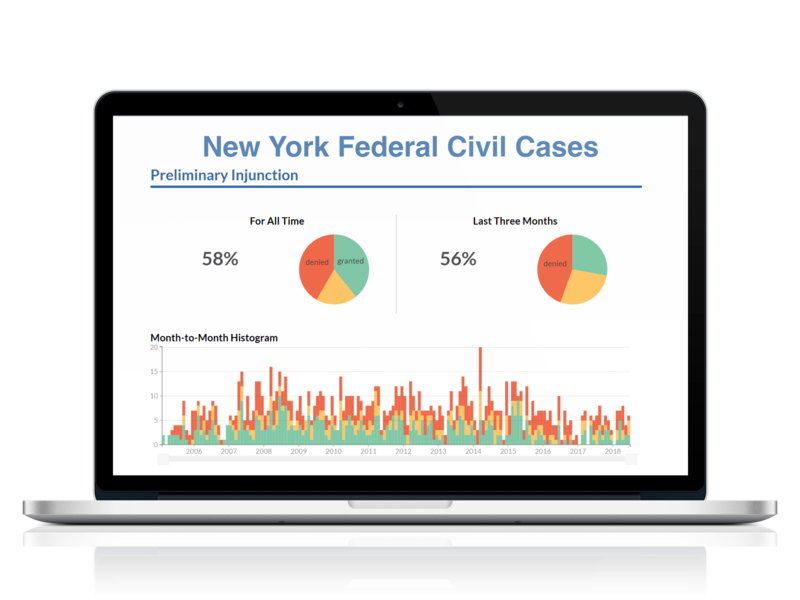 Now, with Docket Alarm’s revolutionary Analytics Workbench tool, users can build litigation analytics across all case types in state courts, federal courts, administrative courts, and other jurisdictions in the Docket Alarm system. In addition to expanded analytics court coverage, the Analytics Workbench allows legal professionals to dig deeper. Users can capture and analyze legal events that remain hidden in traditional offerings. For example, the Analytics Workbench can uncover trends about discovery motions, motions in limine, and scheduling and pre-trial conferences, at both the state and federal level that would be impossible for traditional analytics. To provide analytics on such a broad variety of cases, the Analytics Workbench provides tools for firms to easily build custom rules to analyze a large number of cases across any court or case type. With minimal effort, legal professionals can tag litigation events based on their own rules. They can quickly review these tags assuring an acceptable level of quality. The Analytics Workbench then builds a beautiful interface to visualize the litigation events in aggregate, and allows users to filter or pivot the data as desired. Users can also easily share their results with others in the firm, or publicly if so desired. The Analytics Workbench provides a new approach to litigation analytics, allowing a new world of multidimensional insights available for every practice area firm-wide. The Analytics Workbench will be publicly unveiled at the American Association of Law Libraries (AALL) Annual Meeting July 14-17, 2018 in Baltimore. If you are going to AALL and would like to see a demo of Analytics Workbench, go to http://www.fastcase.com/create and choose a date and time. Media, including bloggers, are invited to attend the media showcase Sunday July 15th in the exhibit area from 4:30pm-5:30pm. If you are not attending AALL and would like a look, contact us at questions(at)docketalarm.com to schedule a demo. The Docket Alarm Analytics Workbench service adds to Fastcase’s growing list of tools for digital makers, including the Fastcase 7 legal research platform, its industry-leading API tools, Cloud Linking, and its AI Sandbox tool, a development environment in which leading firms are creating their own tools using artificial intelligence. “For the first time, law firms can leverage data and sophisticated tools to give smarter, more strategic advice to clients,” said Ed Walters, Fastcase CEO. “The Analytics Workbench has created a whole new category of custom-made analytics. Everyone should use analytics tools to understand their practice. But law firms who use tools like the Workbench and AI Sandbox can give unique, differentiated insights.” “It’s an incredibly exciting time to be working at the frontiers of legal tech,” Sander added. As the smarter alternative for legal research, Fastcase democratizes the law, making it more accessible to more people. 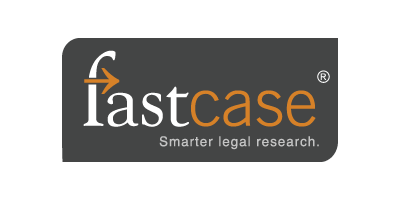 Using patented software that combines the best of legal research with the best of Web search, Fastcase helps busy users sift through the clutter, ranking the best cases first and enabling the re-sorting of results to find answers fast. Founded in 1999, Fastcase has more than 800,000 subscribers from around the world. Fastcase is an American company based in Washington, D.C. For more information, follow Fastcase on Twitter at @Fastcase, or visit http://www.fastcase.com.